With the summerhouse and darkroom already complete (see Photographers summerhouse), the client then asked for me to landscape the garden. 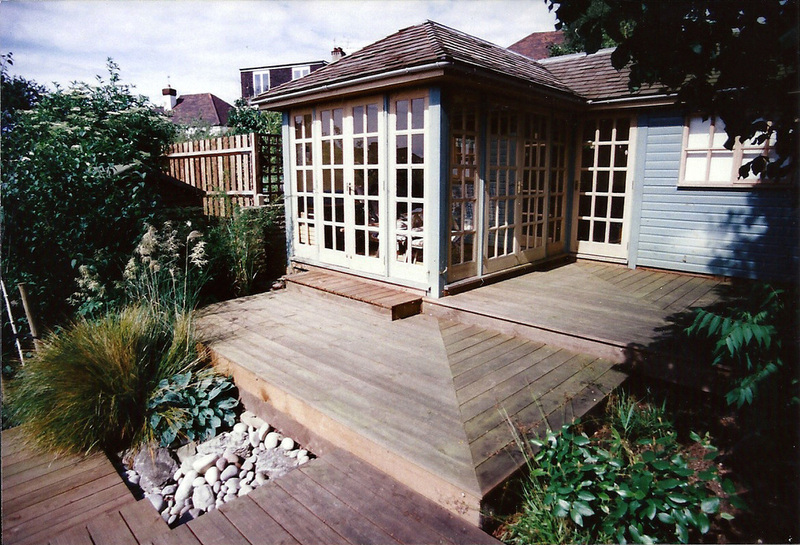 A large conservatory was to be constructed at the rear of the house, so an excavation had to be made further into the garden, to allow for this and some paving, and the construction of the retaining walls. 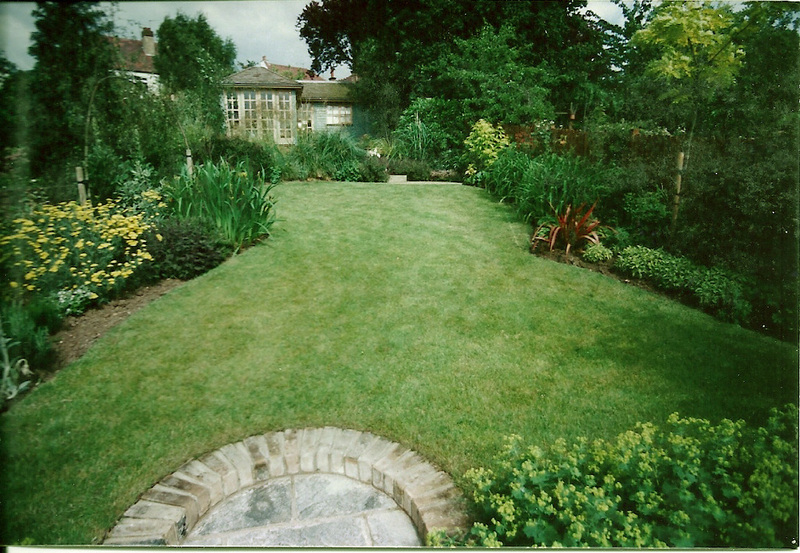 The layout included a 'keyhole' shaped lawn, with generous beds for mixed planting. As well as the steps near the house, there were round step pads, and timber decks at the end of the garden, leading to the summerhouse. 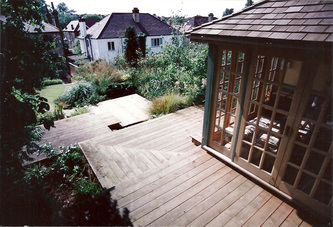 The lower deck was cantilevered over a medium sized pond, fed from a shallow fall that run under the deck, from a small bed near the summerhouse.